Hey movie fans! I’m just back from the 2016 Boston International Film Festival where I caught a fresh new pic you’ll want to watch out for. 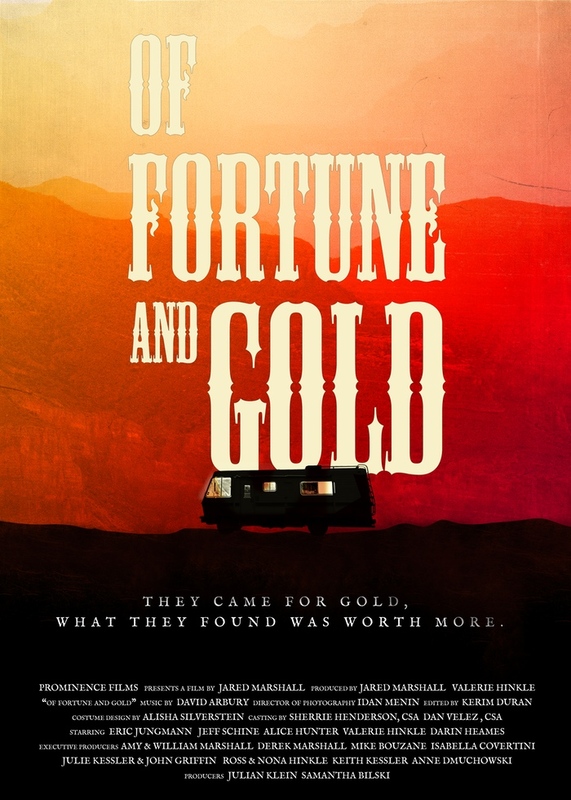 It’s an indie road flick called Of Fortune and Gold, the edgy yet endearing travelogue of four fate-bound millennials who set out on a dubious treasure hunt but find much more than gold on the way. Oh, there are real riches though — a goldmine of truly compelling performances from an ensemble cast of rising stars: Eric Jungmann as the wild but caring Ryder, Jeff Schine as his disillusioned brother Vince, Alice Hunter as the vulnerable dreamer Seneca, and Valerie Hinkle as disarmingly sweet Mai (a girl with a plan). Brilliantly written by promising young director Jared Marshall, Of Fortune and Gold rivals any big studio production in quality, but well exceeds the bulk of them in heart and soul. No rusty Man of Steel here. Or threadbare Caped Crusader. Just real artists making a real, human movie. I’m glad I went along for the ride! This entry was posted in Uncategorized and tagged art, entertainment, fantasy, fiction, films, journal, movies, music, photography, spirituality, travel, writing.